ECOFLO Inc. is a North Carolina based hazardous waste disposal company that handles waste management throughout the Eastern United States. They have been in business for nearly 25 years and have a network of locations throughout the Eastern United States, yet their web visibility was limited to their home office in Greensboro, NC. As they watched their competitors establish an online footprint, ECOFLO realized they needed a strong web presence to complement their existing sales and marketing initiatives in order to remain competitive in a digital age. We created an SEO campaign that initially focused on the Greensboro area and then reached into other major cities where ECOFLO offers services, including Atlanta, Baltimore, Tampa, and Philadelphia. We created a landing page for each area location featuring focused copy and keyword-optimized content. ECOFLO now boasts first page listings for keyword searches in each of the eight cities we optimized. Over 65% of website visitors now come to the website via search engines. These organic search results mean that ECOFLO is appearing organically in search engines without having to invest in additional paid advertising. Visits to the ECOFLO website are also up over 33% from the previous year. 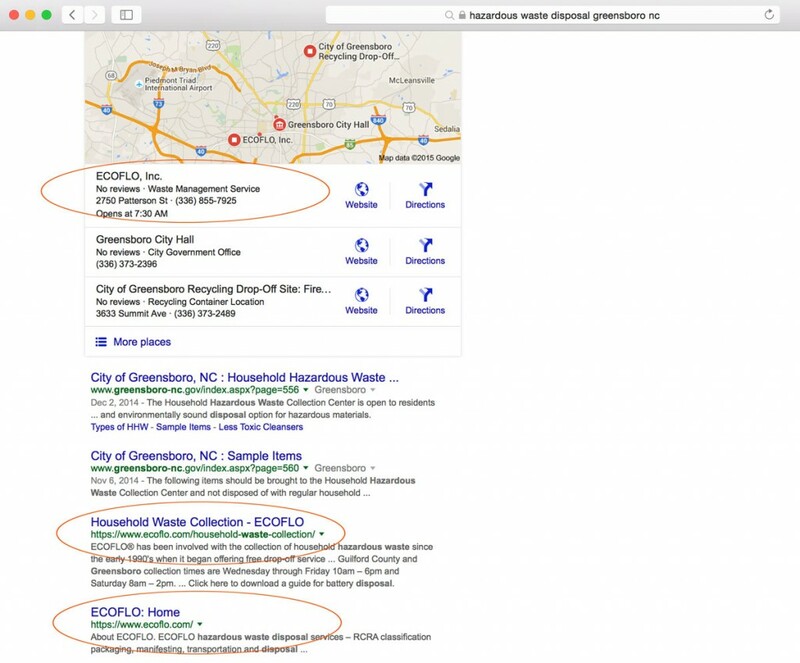 ECOFLO’s Website shows on the first page three times in a local, organic Google search. Formatting keyword-targeted content and sending clear signals to the search engines. Location focused optimization with a proven process and SMART goals. Contact Magnetic to discuss how we can help you can increase organic reach for your web project.